Thanks ! You'll receive an email of confirmation to get started with the training soon ! Docker is an amazing tool to use in development, testing in production but securing your containers is one of the most important things to learn and put in practice. 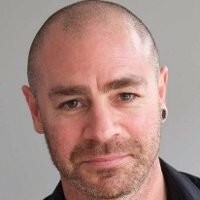 Kim Carter is a Technologist / Engineer, Information Security Professional, Entrepreneur and the founder of BinaryMist Ltd. OWASP NZ Chapter Leader. Certified Scrum Master. Facilitator, mentor and motivator of cross functional, self managing teams. With a solid 16 years of commercial industry experience across many domains, Kim enjoys teaching others how to apply information security to their Agile processes, bringing the security focus up front where it's the cheapest to implement, increasing profit and reducing costs. Organizer of two information security conferences (OWASP NZ Day and Christchurch Hacker Con). Drop me an email if you couldn't find an answer to your question in the following list. What do I need this guide? Security is important in general and it's critical when it comes to containers and running containerized applications. This guide will help understand how Docker security mechanisms work in order to implement them, harden your security levels and avoid disasters. You can use your bank card but if you want to use other payment method, just send me an email. Do I need an experience with Docker to follow your course ? This guide is complementary to Painless Docker training. You'll need a basic knowledge about Docker. I think this course is expensive ! If you think that the efforts that the author have done during very long hours of work are not a good argument, think just about the security incidents you may have in your containerized applications !